This entry was posted on Monday, December 12th, 2011 at 10:10 am and is filed under Posts. You can follow any responses to this entry through the RSS 2.0 feed. You can leave a response, or trackback from your own site. The idea that has been bouncing around my head lately is the hole idea of “social capital” being another term for people and relationships. 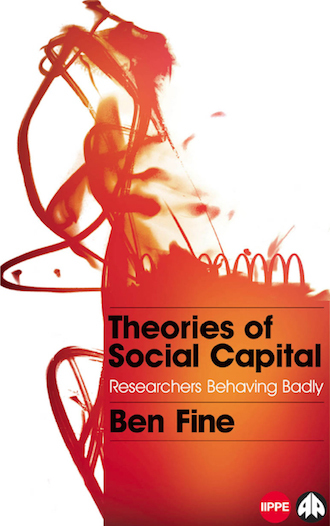 The fact is that “capital” comes out of “capitalism” and the industrialized world, in which “human capital” are people in the cogs of the economy and “social capital” are attributes those people can contribute to the industrial process. The assumption is that these attributes can be culled for use by others (usually the corporation) to economic gain. However, isn’t it time we left the 1790’s of Adam Smith and his industrial world and created a new economic theory (as Adam Smith did when Europe moved out of the agrarian economy into the industrial world) ?